We believe the stock is trading at an unjustified EV/EBITDA of 7.5x (vs regional peers’ 10.6x and its 5-year historical mean of 10x) despite stable earnings and long-term re-rating catalysts ahead. We like Genting Singapore for its potential expansion into the Japan market and the upcoming reinvestment into Resorts World Sentosa (RWS), with more news flow expected in FY19. Maintain BUY and target price of SGD1.23, 15% upside plus 3% FY19F yield. 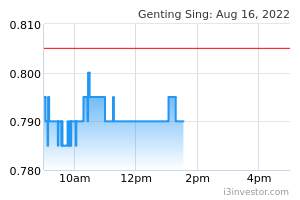 GENTING SINGAPORE LIMITED (SGX:G13)’s strategy to loosen the tap for VIP customers has shown results in its 3Q18 numbers. Trade receivables rose to SGD142m, from SGD127m in Dec 2017. This marked a 13% y-o-y growth in VIP rolling volume amidst rising trade war tensions and narrowing bad debt provisions, which improved 49% y-o-y to SGD22.5m (9M17: SGD43.6). 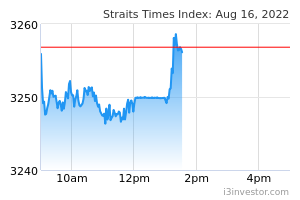 We expect its prudent credit extension to continue despite the slowdown in gaming volume from Macau. This should be able to attract and retain higher volumes of premium and VIP customers, which in turn will lead to a bigger gaming market share. The reinvestment proposal for Resort World Sentosa (RWS) is still in the discussion stage. On the Japan casino licence bid, potential locations for the three casinos are Yokohama, Osaka and Hokkaido. In our view, it stands a chance to win, due to its strong net cash position (SGD2.9bn in 3Q18) and track record as an integrated resorts casino operator in Singapore that adheres to stringent regulatory requirements. It currently has regional offices in Osaka and Yokohama. A formal request for proposal (RFP) is expected by 2H19, followed by an announcement of the licence winners in FY20. We anticipate share price excitement this year to be driven by news flow. Average daily tourist arrivals to Singapore rose 22,000 in 3Q18 (1H18: 18,000), mainly driven by Universal Studios Singapore, S.E.A. Aquarium and Adventure Cove Waterpark. We expect contributions from its non-gaming division to remain sturdy in view of resilient tourist arrivals and higher average ticket prices. We make no changes to our earnings forecasts.